Schools using Core Knowledge have been honored for their commitment to excellence and to closing the achievement gap. We are honored to have these schools as part of our growing community. As president of the Colorado League of Charter Schools, I am excited to announce that the Lifetime Achievement Award at our 26th Annual Conference, on March 1, 2019, will be presented to Dr. E.D. Hirsch, Jr., or Don as he is called by his many admirers. We are honored to confer this award on Dr. Hirsch, who follows last year’s first recipient, the Honorable Keith King. During Don’s visit to our two-day Conference, we will also take time to elicit his perspective on current education issues. Dr. Hirsch is the Founder of the Core Knowledge Foundation. In 1983, Hirsch began advocating for the concept of “cultural literacy” in the same year that A Nation at Risk was published. Over the past 30 years, he has made an immeasurable contribution of scholarship, advocacy and stewardship to the Core Knowledge Foundation’s activities and to American education as a whole. His ideas have proliferated nationally and globally with a deep resonance in the Colorado charter school sector. Don is a remarkably ‘liberal’ thought leader in the best senses of the word – inquisitive, open-minded, magnanimous and intellectually astute. Before becoming the animating force behind Core Knowledge, he was a highly regarded literary critic and professor of English at the University of Virginia. He celebrated his 90th birthday in March 2018. I believe that it is no exaggeration to say that Dr. Hirsch is a national education treasure and we will be fortunate to have him join Colorado’s annual state convening. The U.S. Department of Education announced the National Blue Ribbon Schools, recognized for overall academic excellence or closing achievement gaps. The 2018 Blue Ribbon winners included four schools helping students build strong foundations of knowledge through the Core Knowledge Sequence. Seniors at Liberty Common School in Fort Collins, Colorado, broke the state SAT record. The impressive numbers earned top ranking in the state, a clear 25 points ahead of second-place. Read more about this remarkable accomplishment here. The U.S. Department of Education announced the National Blue Ribbon Schools, recognized for overall academic excellence or closing achievement gaps. The 2017 Blue Ribbon winners included three schools helping students build strong foundations of knowledge through the Core Knowledge Sequence. The U.S. Department of Education announced the National Blue Ribbon Schools, recognized for overall academic excellence or closing achievement gaps. The 2016 Blue Ribbon winners included six schools helping students build strong foundations of knowledge through the Core Knowledge Sequence and (at some sites) the Core Knowledge Language Arts curriculum. Read the Press Enterprise’s article to learn more about the Gold Ribbon award and Bryant Elementary. Peach Hill Academy was one of three schools chosen from the Moorpark area to receive the California Gold Ribbon. California also commended Peach Hill’s use of the Core Knowledge curriculum, which they have been using since 2001. Peach Hill’s principal Vicky Yasenchock noted that “education’s moving so fast nowadays that there are so many things that can be left out,” which is why she appreciates how the Core Knowledge curriculum “clearly defines” what students are expected to know before they can advance to the next grade level. Read the Moorpark Acorn’s article about the event. Kinard Core Knowledge Middle School, High Peaks Elementary School, and Icahn Charter School 2 were named 2015 National Blue Ribbon Schools. 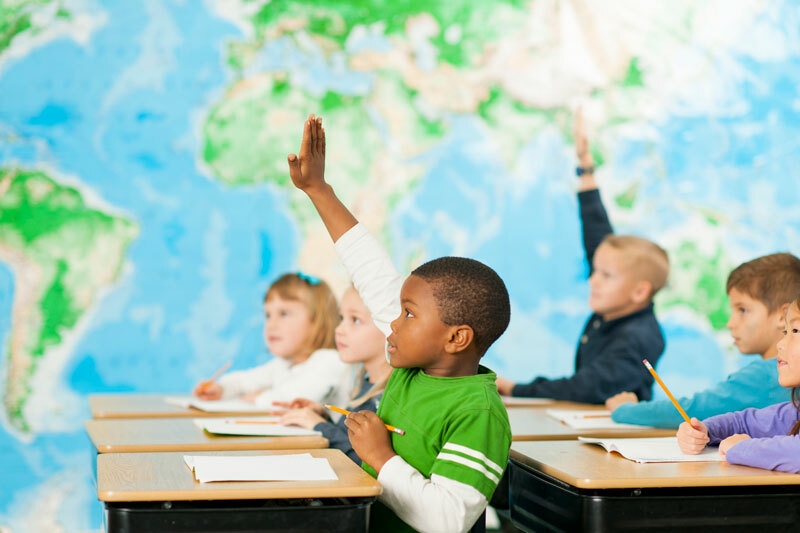 The U.S. Department of Education recognizes Blue Ribbon Schools based on overall academic excellence or progress toward closing achievement gaps. George Washington Academy, which uses the Core Knowledge Sequence, was named the Utah Public Charter School Association’s 2013 Charter School of the Year. GWA is a high-performing, kindergarten through eighth-grade school in St. George, Utah, with about 1,000 students. Read more about this award.